Disclaimer: The Effect Audio Leonidas II was sent to us in advance of retail release to allow us to complete this review. Many thanks to Effect Audio for giving us this opportunity. Some time ago I asked Eric Chong, the Marketing Manager, what was Effect Audio’s most critical products releases? Those products that really made their name in the market. He named two IEM cables and one of them was the Leonidas, (the critical king), the other being Ares, (the bread and butter). Now I have not had the distinct pleasure of hearing the first Leonidas since CanJam Singapore 2017 so sadly I cannot make a direct comparison in this review. EA no longer make the Leonidas first generation. My memory, however, was of a cable that was distinctly refined, clean and clear. At the time I could see why a lot of people rated this 4-wire IEM cable so highly. It was a no-brainer then when I was asked if I was interested in reviewing their next generation cable, the $888 Leonidas II. The II is not simply an iterative upgrade of the original. Instead, this is a whole new mix of metals and in a way, a continuation of the Palladium theme first seen on the Hall Of Fame Janus Dynamic 8-wire we reviewed last month. 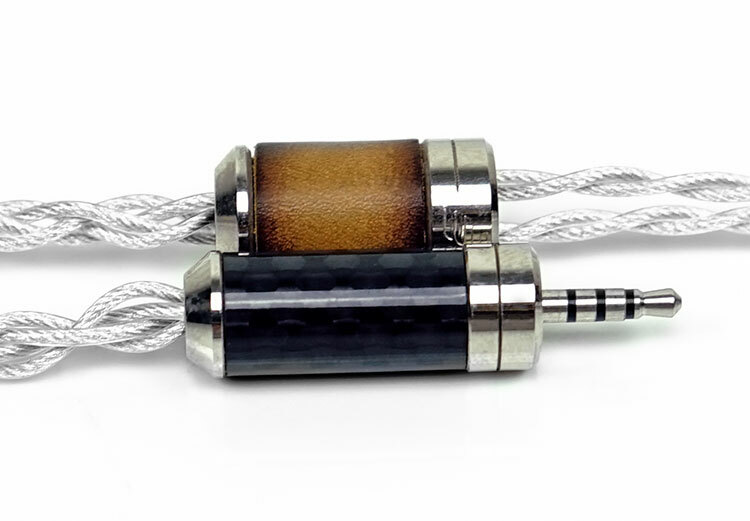 The Leonidas II is the flagship cable of Effect Audio’s Heritage Series. There are two stable cables in this range, the other being the Lionheart, which we reviewed last year. The original Leonidas was the first cable to be under the Heritage series so despite the pre-order of Leo 2 being on EA’s main menu you can expect to see it move there once on regular order. 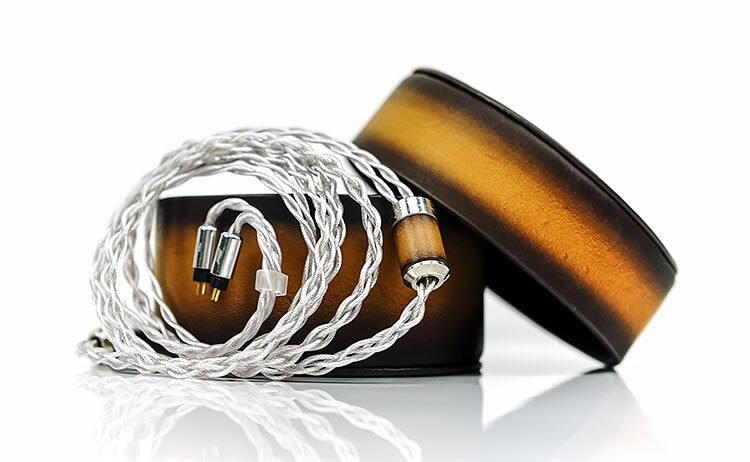 The Heritage Series of IEM cables are distinct for being the company’s bleeding edge lineup. In short, they take a few risks, try something new and bring out something they think is genuinely unique as well as groundbreaking in the cable industry. Kind of their ‘blue sky’ thinking line-up. For cables that are designed with tried and tested methodologies, they have the Premium series which starts with the popular Ares II at $149 all the way to the Mars at $999. The Leonidas II is priced at $888 which, if you are in any way up to speed on the Oriental culture you would know this is a super lucky set of numbers. Checking back on the older Leonidas, it was originally $799 so a slight jump in price but there may be a very ‘metallurgical reason’ for the increase and we will get into that under our materials and wire section. Yes, it is the return of Palladium. This is an element first used on the Janus Dynamic and Basso 8-wire Hall of Fame cable duo and it does not come cheap. It is also significantly less conductive as an element than either copper or silver and even gold. However, resistance in wiring can be used to achieve a certain type of signature so it is not necessarily a negative feature if the application of the metal is correctly done. The Leo I wire uses an ultra purity gold silver hybrid mix of wire. 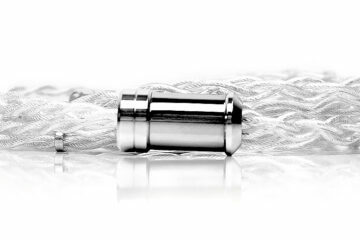 For Leo 2, the mixed has changed to a palladium-plated silver & Litz silver hybrid wire mix. 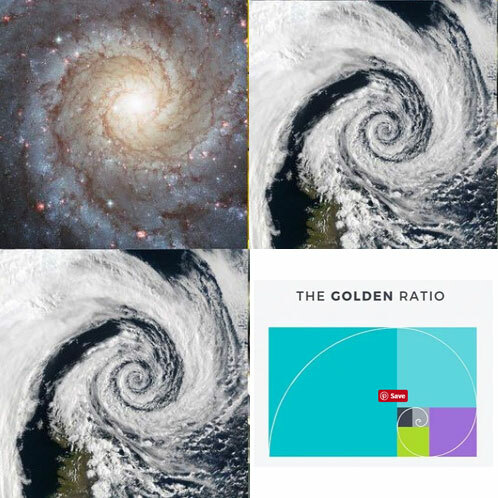 Now if you check closely you will notice that the description is prefixed by the phrase “golden ratio’ for both Leonidas 1 and 2. What does this mean? In geometry, this is a mathematical equation and more popularly known by its short name, Phi or the symbol φ or perhaps even more accurately tau or τ. It appears all over the place really in art, architecture, web design but the core concept is when used it produces an organic and natural looking composition that is aesthetically pleasing or logical to the eye. In wire mixes such as silver and palladium, it is the golden ratio’s infinite number 1.6180339887…: 1 that is significant. This formula is used to create a unique layering of strands that share no common resonant pattern. The concept here is that stored energy in the signal is released with a timing that is irregular on a per wire basis. If each strand uses the golden ratio formula then each strand will have its own unique sequence that will never be in conflict with any other paired strand. The less chance of different strands sharing common resonance signatures then the lower the level of resonance detected and the higher the purity of the signal will be in the wire. 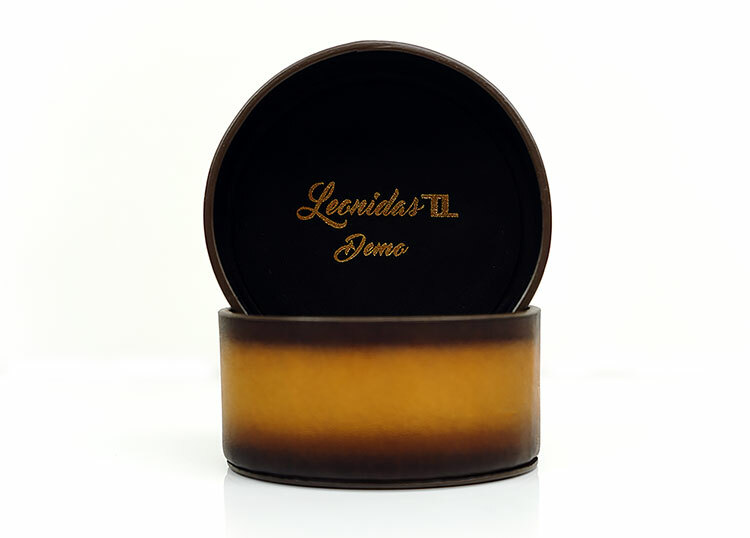 This is particularly important in the Leonidas 2 which uses a hybrid of metal stranding that includes palladium, a known high resistance precious metal and silver, a highly conductive metal. The original Leonidas was the first cable in the EA range to feature individually enameled strands of wire in a woven Litz technique. The concept is that geometry of the wiring would have a reduced skin and proximity effect thus reducing resistance, particularly on high-frequency performance. The Leonidas II takes the same concept of the individually enameled strand only this time increases the complexity of the geometry with a 7-core bundled Litz type configuration. In theory, this will further decrease resistance and produce a much better high-frequency performance for the level of wire gauge used. The Leonidas 2 is 26Awg gauge Ultra Pure Onho Continuous Cast (UP-OCC) wire. This is a fairly light strand composition in terms of threading size. It has an approx 0.405mm diameter and 62.7 turns of wire not including the insulating depth of the palladium layering on top of the silver strands. It is the same gauge sizing used on the Lionheart and Thor II. To give you another point of comparison, the Thor II+ 8-wire uses a 22AWG UPOCC pure silver Litz design. It measures a little fatter and stiffer at approximately 0.6mm in thickness and around 16 turns of wire per cm. Resistance will be lower on the Thor II+ 8-wire versus the thinner 26awg build on the Leonidas II. However, at 1.2m in length, it should not be a factor in the final sound production. Compared to my Thor II build the Leonidas cable has some very striking visual accents. Both jacketed wirings from afar look quite similar with their silver shimmering tone and translucent jacket. However, up close you get a much stronger aesthetic from the Leonidas wire twisting than the more monotone Thor II version. In layman’s terms, you can see the wiring grooves under a strong light which makes it more interesting when staring up close. Instead of the noir tone of the Janus, the Leonidas II delivers something a little more organic and lighter in visual appeal. The tan and black Patina style leather y-cable finish is eye-catching and highly unusual. Not sure I have ever seen a leather barrel finish and certainly a nice contrast to EA’s traditional carbon fiber finishes. Personally, I hope they stick with this aesthetic because the organic tones combined with the slightly denser silver cable patterns make for a very nice presentation. 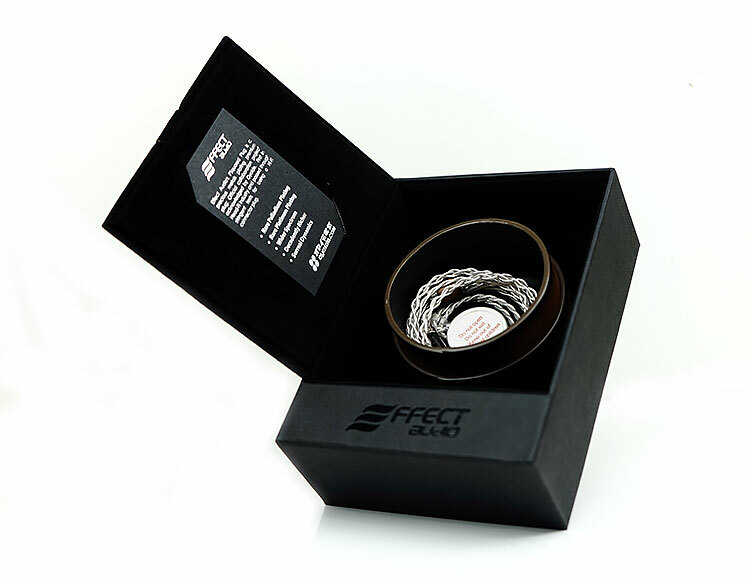 Since Effect Audio switched to PVC materials for their Ultra-Flex Jacket their cables have been superb for handling. There is not one iota of bounce or flyaway with the Leonidas cable. It also feels lighter than the Thor II and Lionheart. Some of that weight has been trimmed with lighter and small barrels for both jack and the y-split. Even the cable itself feels a shade lighter and certainly much more flexible than the Thor II. On close inspection of the two cables, the braiding also looks even tighter on the Leonidas II with even shorter overlays. If you bend it the braiding really does a fantastic job of training its shape. There is also no memory wire or plastic heat-shrunk strain relief to be found anywhere on the cable. A lot of people prefer the 26AWG variations because it is so much lighter and easier to work with than the thicker 22AWG 8-wire builds. I get that, I am still a sucker for those big 8-wire designs but I take my hat off to the Leonidas II handling. It is just so light, so microphonic free and suffers from no tangles or memory retention whatsoever. If you though the Thor II was a good cable build, what til ya get a load of the Leonidas II guys! As with the Hall Of Fame Janus and the Heritage Series Lionheart, the Leonidas II gets the PSquared jack treatment. The PSquared 2.5mm termination was developed in cooperation with Japanese specialty cable manufacturers, Oyaide Electric. Co., Ltd. 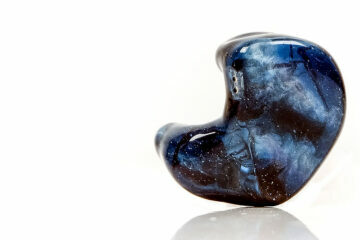 The PSquared jack is considered an upgrade on their rhodium plated plugs from their use of Palladium and Platinum. The contention is that this mix will sound better than the standard plug. In our testing with and without the plug on two Lionheart cables we found PSquared to be the more dynamic sounding of the two finishes. All balanced PSquared plugs will have black rings and a carbon fiber/silver alloy finished barrel. The barrels are also a shade smaller and lighter than the Lionheart and Thor II barrels. This particular Leonidas II is finished with a 2.5mm balanced fitting which is my preferred termination. During your ordering process, you can also opt for different terminations depending on your preferences. Effect Audio supply both 3.5mm (green rings) and 4.4mm options. For the connectors, you can choose from 2-pin, MMCX, JH Audio, Fitear etc. The one below is fitted with a standard 2-pin socket that will fit with flush or recessed sockets popularly used on custom monitors. With no memory wire and being lighter and more flexible than even the Thor II and Lionheart, the Leonidas gets my vote as EA’s most comfortable cable to date. There is enough shaping and jacket density on the MMCX wire loop to ensure it stays in place behind the ear when in use also so it is not a sacrifice to lose the additional memory shaping materials. People with glasses or those who do not enjoy the pressure from heavier 8-wire designs should find the Leonidas II a very comfortable cable to work with. EA has gone with similar visuals in terms of packaging as they used on the Ares II 8-wire build but with a few tweaks to clearly mark in terms of accessories. Gone is the traditional white and printed label EA box and in comes a more urbanite black slide case with fold-out inner lid. The outside packaging has the required cable technical details stickered on the back with an EA pull out-card on the inside lid. On the front is the word “Bespoke” and Effect Audio branding at the bottom. Much like the Leonidas 1, the II comes a special carry case though by the looks of the older Leo 1 pictures the Leo 2 case is a step up in class. It is made from the same Patina style leather bound as the Y-Split cable which is a really nice visually harmonious touch. The actual materials are a supple oil-pull leather and vegetable tan calf. The stitching color is on the base really blends in also is nothing glary or cheap looking either. The case has a moderate level of flex and sturdiness and looks like it can take quite a few knocks. I would not go pressing down too hard on it as you would on an aluminum hard shell, it is not on that level of protection. Certainly, it is much lighter than any hard shell and will not take weigh your bag down. It also has plenty of space to throw in 1-2 IEMs or custom monitors which is the whole point to this case in the first place. Actually for me this cable is quite smooth and not so analytical. Its big stand out is the way it projects imaging and the immersive soundstage. You are right in the sense it does no convey a very aggressive low-end which is what the Thor Silver Ii will give you. I have yet to hear the S Andromeda, I still love the original green and with the Leo II it is excellent. The Thor II will give the low-end a bit more juice and power. If its fun you want then that combo is very good. Thank you for the review, would you suggest the Thor II or the Leonidas II with 64 Audio A12’s? They are a little less ‘balanced’ so I was wondering if the more ‘upfront’ nature of the Thor II would be a better compliment for that model? Would appreciate if you could let me know your thoughts. Tricky question since it depends on what you want out of it. If its dynamic power and impact then yes Thor II will give you that. If you want the detail and range but something more, hmm, neutral? Then perhaps their new Cleopatra out this weekend might be better. Our review of that will be out real soon. 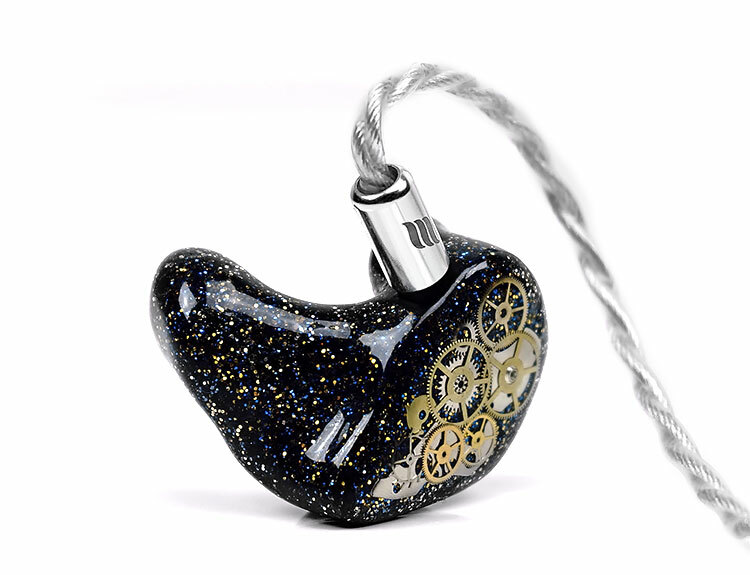 Great and thorough review as always Marcus.I recently ordered the Ultima SP1000M and searching for a good upgrade cable for my Andromeda S and possibly later IER Z1R since they both share MMCX connection.I understand that this is very neutral tonally cable and read elsewhere that this is not a perfect companion for all iems despite immense technicalities. Right now Janus and Leo for the detail, imaging and staging potential. Janus cuts a more analog type speaker sound with the 8-wire effect, the dynamic range is huge. However the Leo 2 might be the better choice to capitalize on the A18’s imaging. What’s your favorite cable pairing with the A18s? Sadly no Horus here but from what I am told the Horus is very revealing and transparent sounding. How does the Leo 2 compare to the Effect Audio Horus?